ALL JFK friends please read. This is important! In the early days of the internet there was a FREE website address we used that Deannie Richards told us about "acorn.net." 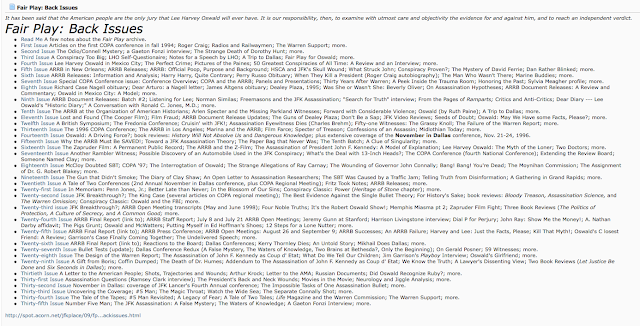 This site holds, or held, the past issues of John Kelin's web page / magazine "Fair Play," that some of you may remember. This site holds all of the ARRB batch reviews I did. I tried to go there today only to find that that site is not available anymore. The domain name has expired on 8/30/2016 and is pending renewal or deletion. 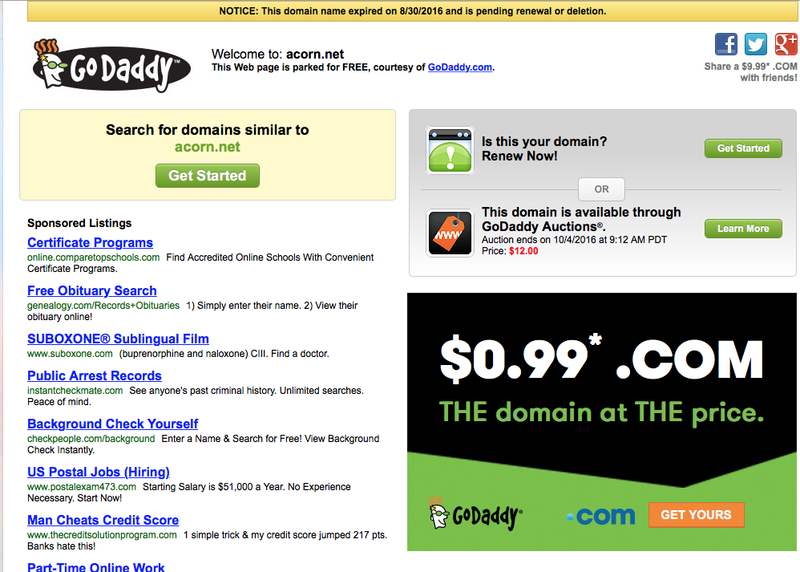 GoDaddy.com is auctioning off the domain name. However, if you win this you only get the domain name, and NOT any of the content on the site. Only the site owner has any control over the information on it now. The problem is this was a free website / service out of, I think, Ohio where Deannie Richards lived. So, the problem is there may not be a site owner as such. Maybe something changed in Ohio and the free site was shut down or something. It would be a tragedy to lose all of Fair Play's content forever. 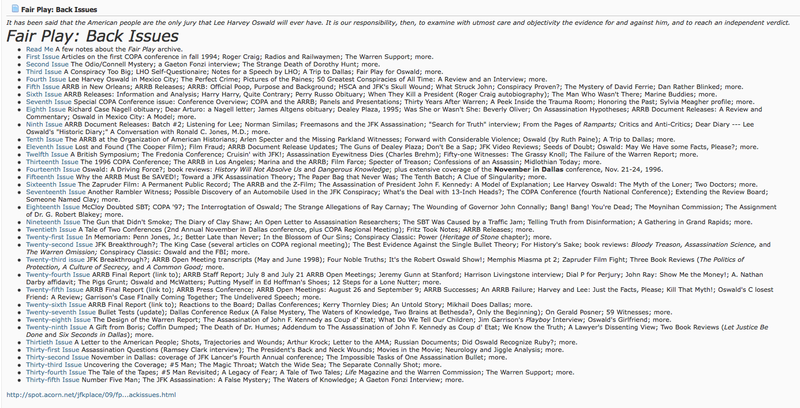 So, John Kelin, do you have a back up of your old site? Does anyone have contact info for Deannie Richards? Anyone got any ideas?